Milntown Lake is a private lake which forms part of Milntown House and is located just outside Ramsey on the Lezayre Road. The House and gardens are open to members of the public during the summer season. 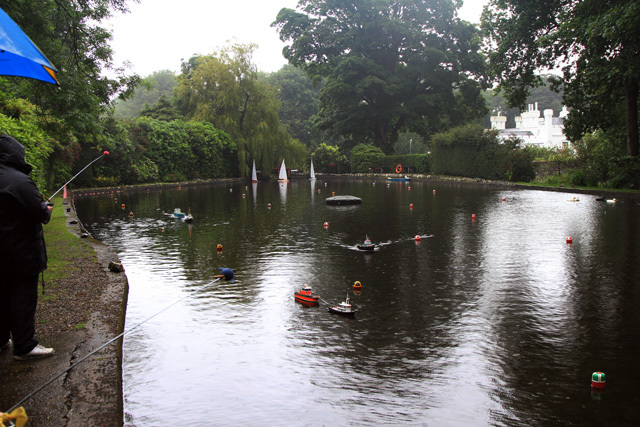 The model boat club uses the lake for a couple of displays each year, most recently a special sail in to celebrate the Queens jubilee. The above picture shows a general view of the lake with scale sailing in the foreground and models moored in the background. Milntown house can just be seen through the trees to the right.